5/22 Cup of Coffee: Portland had a scheduled night off, but the system had a successful night as Pawtucket and Salem each recorded wins. 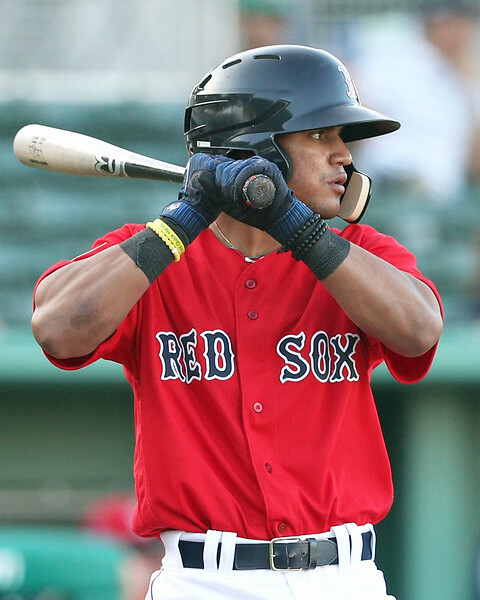 Tanner Houck pitched effectively, and Santiago Espinal (pictured) led the way offensively for Salem, while Mike Olt and Anuery Tavarez led a Pawtucket comeback. On the back of Everlouis Lozada's double, Greenville scored two in the ninth before falling in extras. With a run each in the seventh and eighth, the PawSox took a 4-3 deficit and made it a 5-4 lead on their way to snapping their four-game losing streak. Mike Olt and Aneury Tavarez each hit solo home runs in the victory, with Tavarez' tying the game in the seventh. Cole Sturgeon added a pair of RBI with a 2-for-4 night and two doubles, and despite Austin Maddox walking four batters in his inning of work, he combined with Hector Velazquez and Ryan Brasier to throw three no-hit innings of relief to end the contest. With three hits, including a solo home run and two RBI, Santiago Espinal led Salem to its fourth consecutive win to open the series with the Keys. Tanner Houck delivered six one-run innings, allowing five hits, and Yankory Pimentel finished it off with three four-hit, shutout innings in relief for the save. Chris Madera and Brett Netzer, who added an RBI, joined Espinal in the multi-hit club. Asheville scored eight runs in the first inning off of Hildemaro Requena to take an 8-3 lead, but surrendered the lead late, as Greenville battled all the way back, with Everlouis Lozada doubling to bring home the tying and go-ahead runs in the ninth. Seven of the nine starters had multiple hits as the Drive cranked out 16 of them, with Victor Acosta leading the way with three. Juan Florentino faltered to close out the game after six innings of two-hit relief from Angel Padron and Dominic LoBrutto. Florentino allowed the tying and winning runs to cross in the ninth and tenth innings, respectively. Player of the Day: With multiple RBI and three hits, Santiago Espinal continued his strong season, upping his average to .310, including hitting his sixth home run of the season to help put the game away in the seventh inning. The 2016 10th-round pick is having his best season so far and has recorded a hit in nine of his last 11 games (15 for 46).